Profile: Telenor Group is one of the world’s major mobile operators with 170 million mobile subscriptions. The company has a strong footprint in Scandinavia and Asia and a leading Nordic position in mobile, broadband, Internet and TV services. 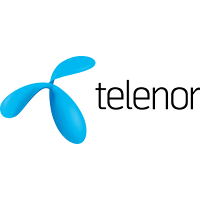 Telenor Research, which represents the Telenor Group in this proposal, is one of Norway’s largest research and innovation organisations within ICT (Information and Communication Technology). Telenor Research’s expertise and experience covers the whole range of scientific areas connected to modern mobile communication and Internet, including cybersecurity. It has its own SOC ( Security Operation Center (SOC) and computer security incident response team (CSIRT) for both its Scandinavian and Asia operations. The project aiming at establishing and operating a pilot for a Cybersecurity Competence Network to develop and implement a common Cybersecurity Research & Innovation Roadmap will be crucial for Telenor as a global mobile Internet service provider. Security, Robustness, Resilience and other security related issues play a crucial role in all business creation and will therefore be highly interesting for the company. This project has received funding from the European Union’s Horizon 2020 Research and Innovation program under Grant Agreement No 830927. The website reflects only the view of the author(s) and the Commission is not responsible for any use that may be made of the information it contains.